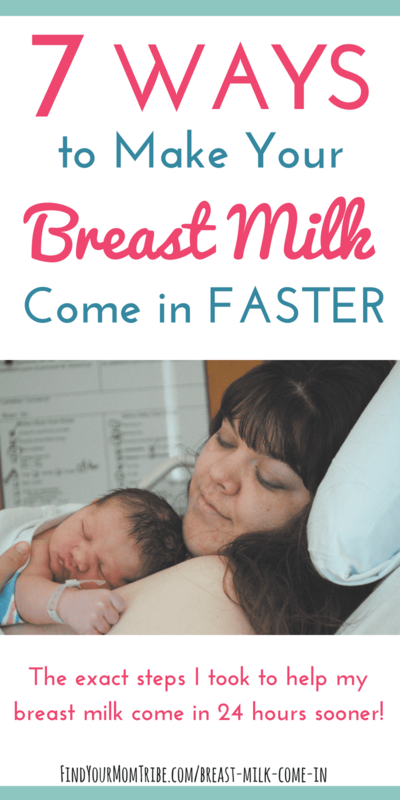 You’ve just had a baby and your breast milk isn’t coming in fast enough. You’re pregnant and want to know how to prepare for breastfeeding before baby arrives. You’re a new mom who is struggling to produce enough milk for her baby. Whatever brought you here, congrats on that sweet baby!! You’re in the right place! Help! My breast milk isn’t coming in! With my first two babies, I planned to exclusively breastfeed. 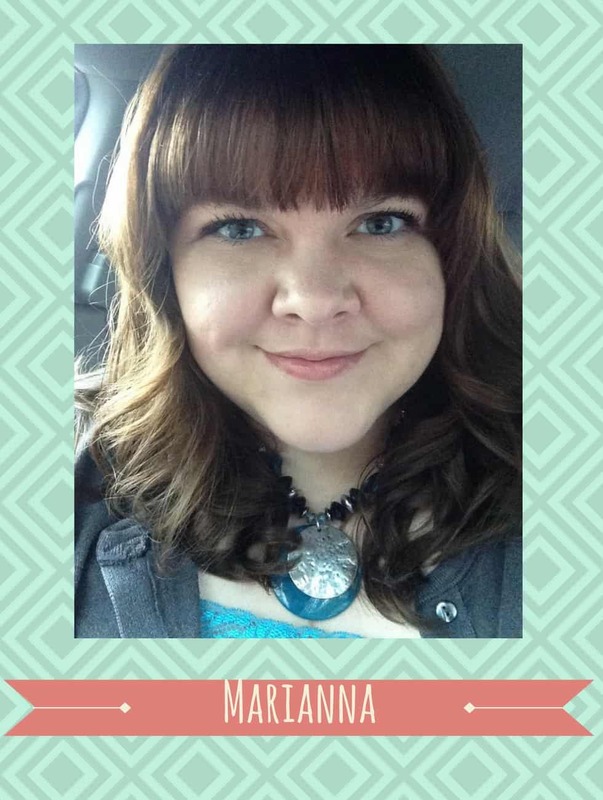 My first baby was an unplanned c-section and my breast milk took FOREVER to come in. I mean, I was starting to lose all hope. My milk didn’t come in until day FOUR. With my second baby, I had a repeat c-section and a little experience under my belt. I was sure my milk would come in right away. After all, I’d done this before! Surely my body knew what to do, right?! Nope. It was the end of day THREE before my milk came in. 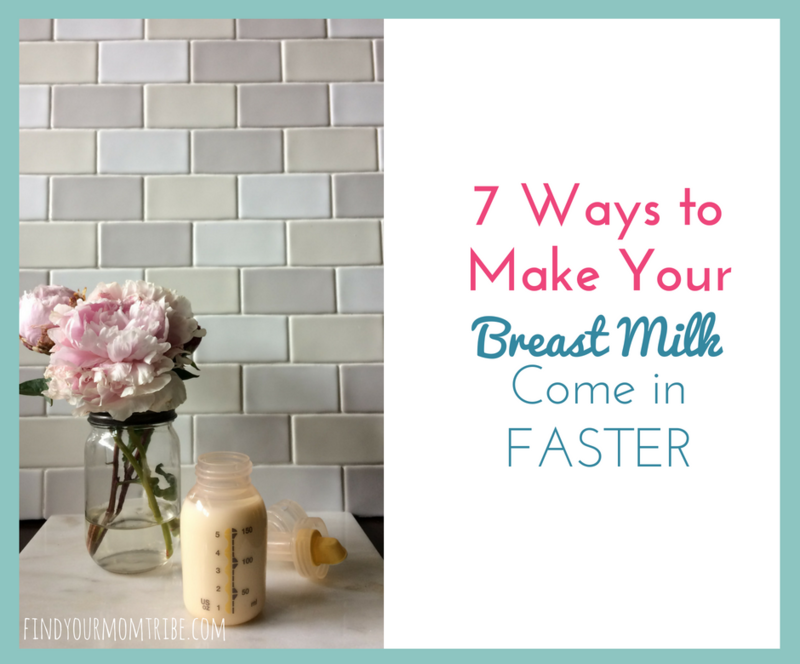 While preparing for the birth of baby number three, I started to research things I could do to make my milk come in faster. With my first two babies, I ended up exclusively pumping for them, and this time I was determined to nurse my daughter. And ya know what? All my research paid off! After my third baby was born (also by c-section, you can read about how to have a gentle cesarean and also read her birth story here), my milk came in at under 48 hours! That’s a full day sooner than with my middle child! 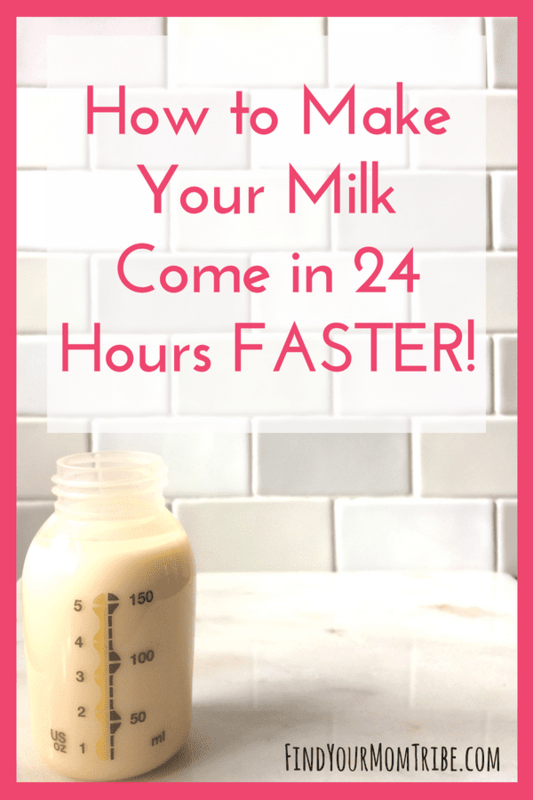 Here are the exact steps I took to help my breast milk come in 24 hours sooner. I stayed skin-to-skin with her from the time she was born until about 20 minutes later when my husband wanted his turn to hold her. After we moved to the recovery room, we stayed skin-to-skin pretty much the rest of the day. If you’ve already had your baby, be sure to get lots of skin-to-skin contact with him or her. Regardless of whether you had immediate skin-to-skin immediately after the birth, spending time skin-to-skin now will help your breast milk come in and give your milk supply a boost. To be honest, I could have nursed her on the operating table. But I didn’t. I’m so clumsy and the thought of trying to latch her flat on my back made me nervous. But I did latch her on the moment we got to the recovery room. She was latched on within the first hour of her birth. The first hour after birth is called “the golden hour.” This is when your oxytocin levels are highest. Breastfeeding and skin-to-skin within the first hour promotes the mother-child bond and also gives your chances of successful breastfeeding a boost. As a first time mom, I had no idea that babies wanted to breastfeed literally 24/7. I thought something was wrong and started to panic! (I also had her on a schedule and only fed her two-three hours.) With my third baby, I knew that frequent nursing was totally normal and would only help my milk come in faster. The night after she was born, my daughter literally nursed all night. For real, as soon as I thought she was done, 15 minutes later she was crying again. I was on a birth high and I loved gazing at her perfect little face. Reminding myself not to get overwhelmed when she wanted to nurse again, I just went with the flow and let her nurse on demand. Nursing super-frequently is called “cluster feeding” and is totally normal. I know you’re tired. I know people are telling you, “That baby’s starving!” But take a deep breath, mama. Nursing frequently isn’t unusual. It will HELP your supply. You got this! This one may seem crazy, but I read an article somewhere (I tried to find it and link to it, but this was almost 3 years ago, so I don’t remember which one it was!) that said you should bring pineapple juice to the hospital to help with your milk coming in. Pineapple juice is anti-inflammatory and can help to prevent/treat clogged ducts. I figured it was worth a shot, so I brought a few bottles of pineapple juice to the hospital and drank 1-2 per day (even after I got home) for the first few days after birth. I taste-tested one (or two…or three) the day before surgery and packed a few to take with me to the hospital. 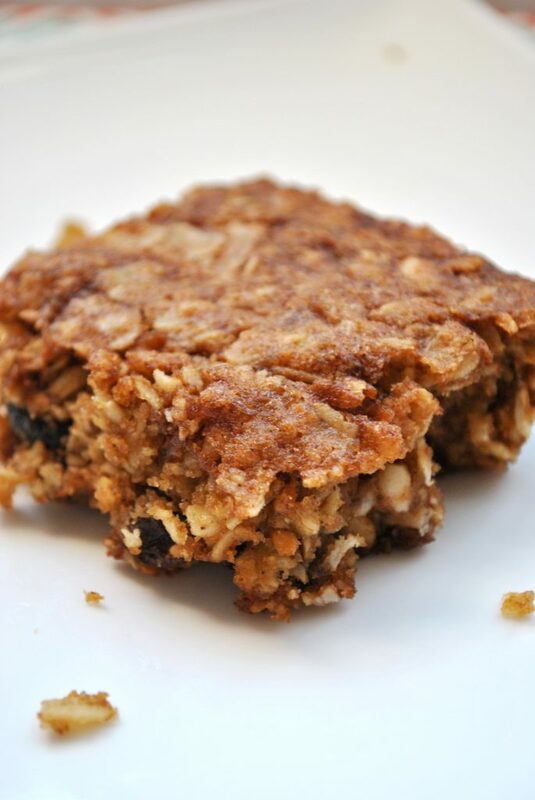 As soon as I was “allowed” to eat solid foods again, I started eating these lactation bars. Once I got home from the hospital, I continued eating one (or two – haha) a day until I ran out. The lactation consultant gave me a breast massage (awkward!) and encouraged me to do it myself while he was nursing and in between nursing sessions. I remember this helped SO much, so I did it again after my third baby was born. Wanna know something strange? With each of my three babies, my milk has come in almost the moment I walked in the door of my own house. I stayed three nights at the hospital with my first baby, two nights with my second, and one night with my third. Normally with a c-section, you’re required to stay two nights, but my midwife had mercy on my germaphobic, hospital-hating self and let me go 24 hours earlier than normal. There’s just something about being in the comfort of your own home…something relaxing about being in your own environment! I think that had a lot to do with why my milk always came in instantly after walking through the door. If you’re stuck at the hospital (either voluntarily or involuntarily), be sure to rest and do some deep breathing to help your body relax and release any tension you may be carrying. I hope these tips were helpful for you! Hang in there, mama! You got this! I’ve created an online course called Pumping Mom Academy designed to teach you all you need to know about pumping MORE milk with LESS stress!